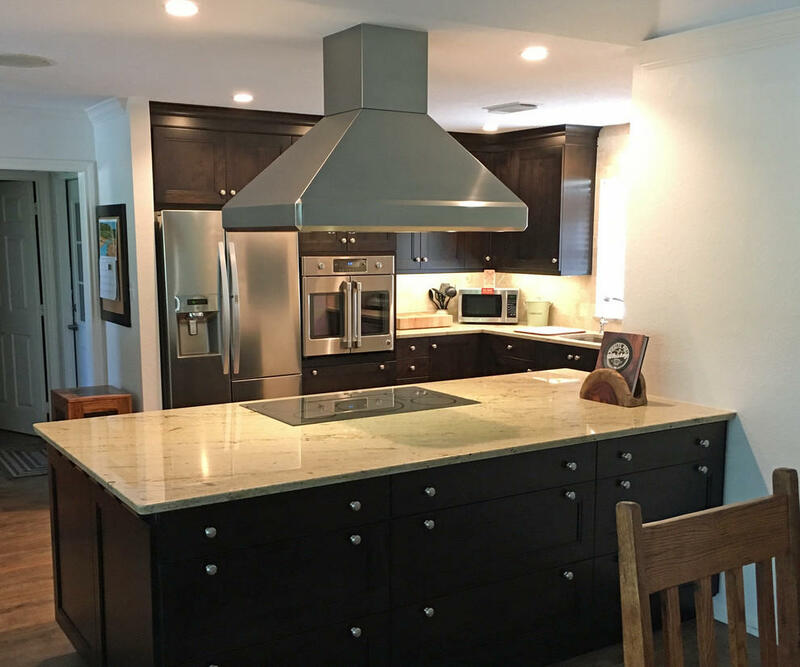 Proper lighting and light granite countertops offset the dark dramatic cabinets in this kitchen remodel in Santa Fe. Generous and highly efficient storage is provided by 27 drawers of various sizes, shapes and functions. 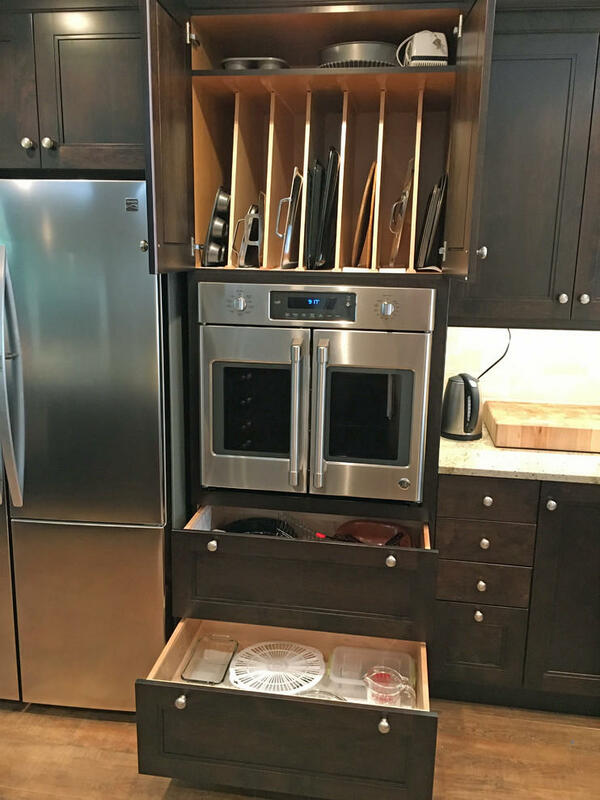 Other unique features include organized tray storage, lid & skillet dividers, a mixer base, a Lemans corner storage unit. 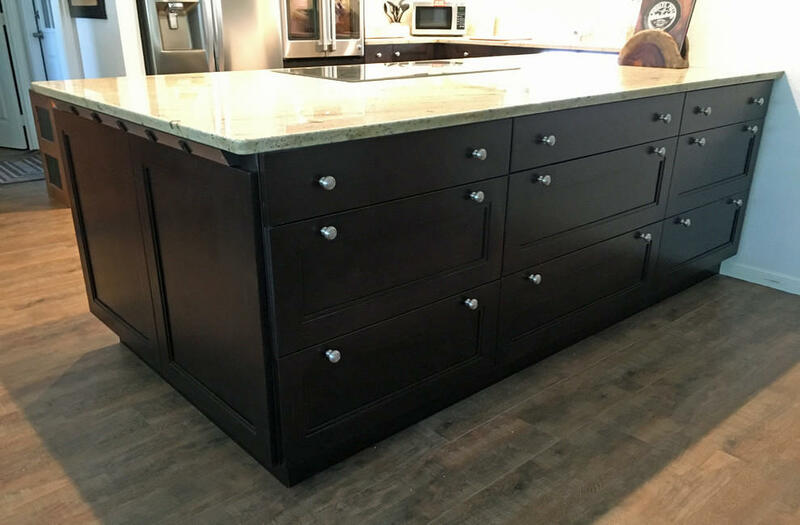 Brookhaven’s new “Westchester” cabinets by Wood-Mode are completely custom so every kitchen is uniquely styled and fitted to the individual client. 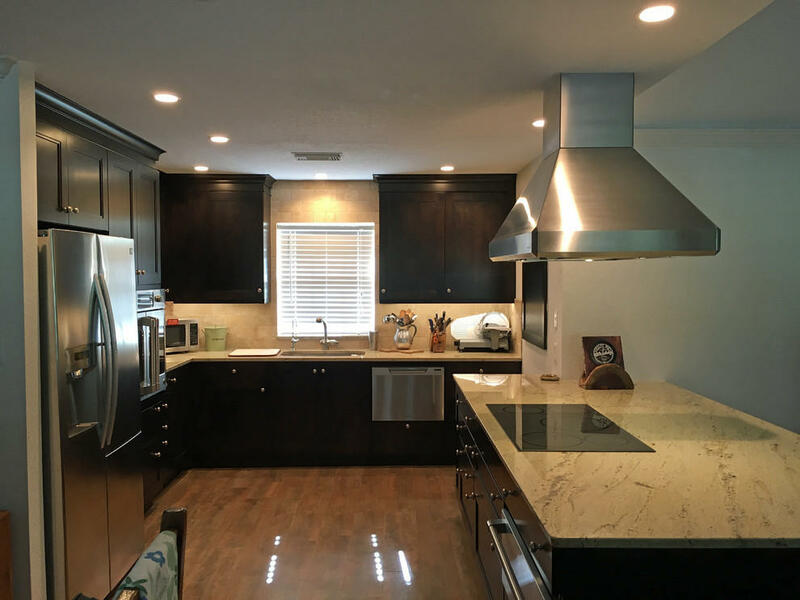 Appliances include an induction cooktop with a Vent-A-Hood island hood, a French-door convection oven and a single drawer dishwasher. 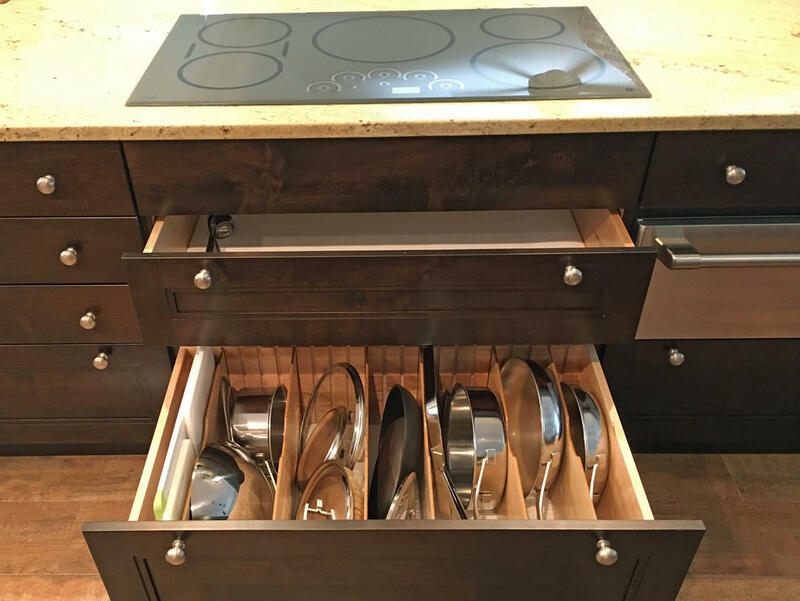 Even the back of the peninsula is packed with highly efficient drawer storage. 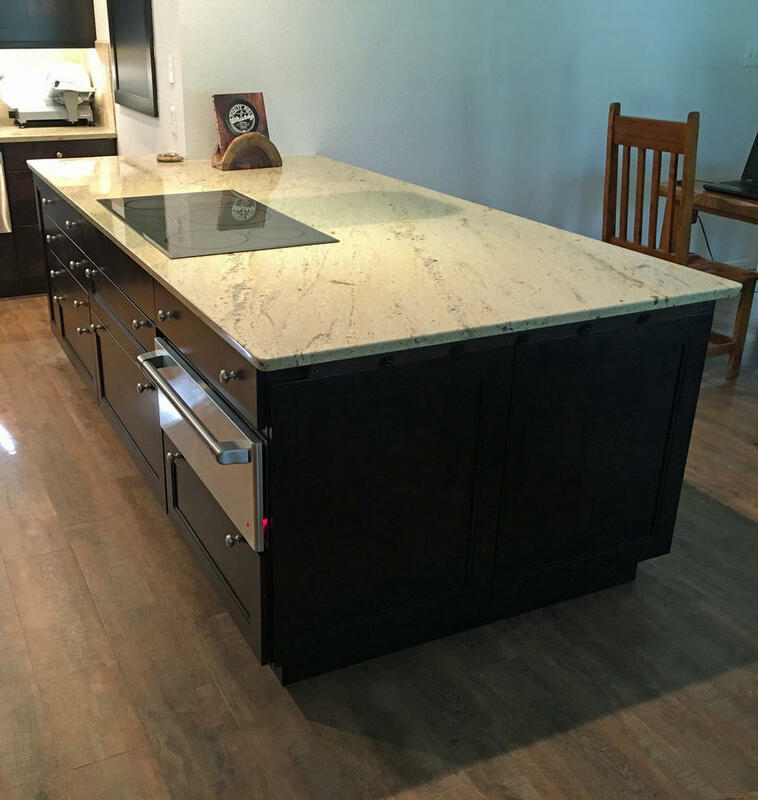 Also note the angled power strip on the end of the peninsula, tucked neatly and conveniently below the countertop. Refrigerator niche (partial view) and custom tall oven cabinet with a dark stain on maple, and a French door convection oven. 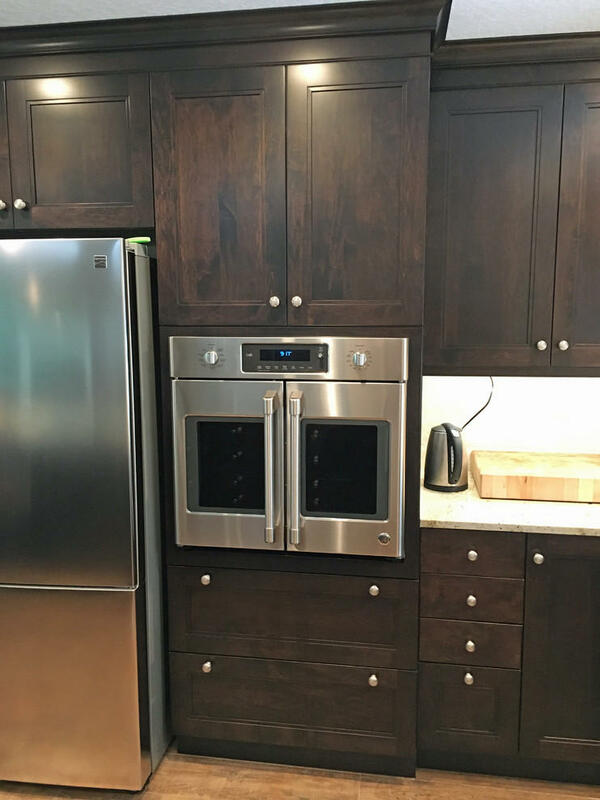 This custom tall cabinet includes vertical storage for cookie sheets & cake pans, space for a French door convection oven at the exact correct height for this chef client, and two deep drawers below. 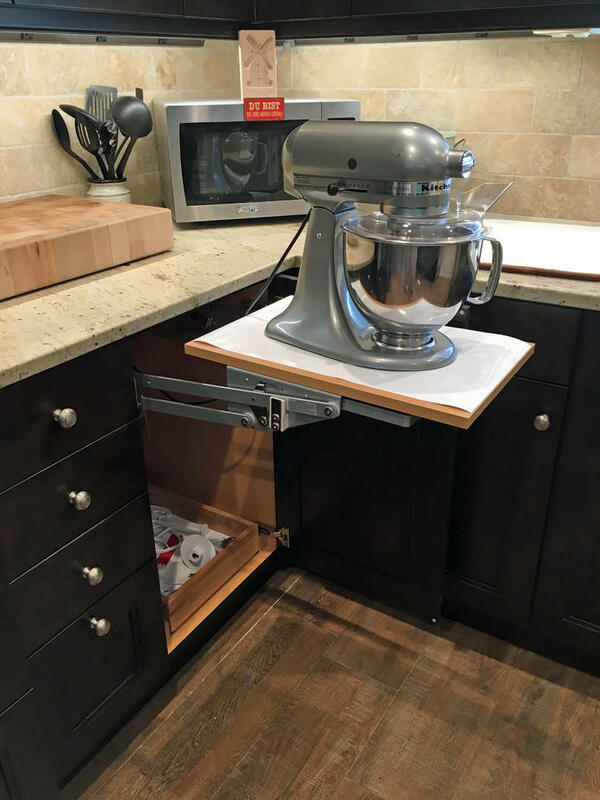 This mixer base provides sturdy support and easy storage of this heavy-duty mixer,along with storage for accessories on the roll-out shelf below.